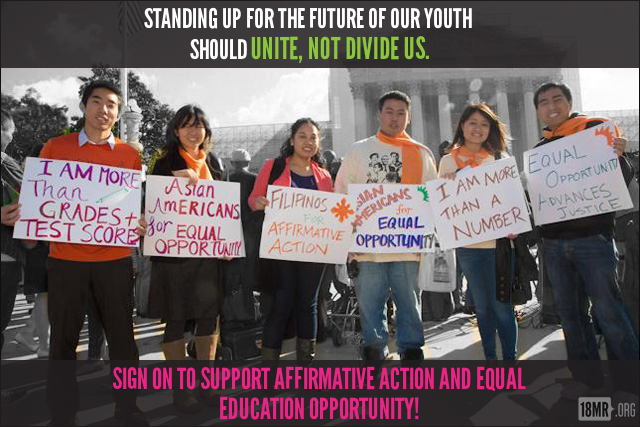 SAN FRANCISCO, CA – Chinese for Affirmative Action, a community-based civil rights organization in San Francisco, joins with over 120 Asian American civil rights organizations nationwide to reaffirm support for affirmative action and equal opportunity in education. The collective statement represents broad Asian American support for affirmative action – a view reflected in nationwide polls and surveys of Asian Americans – and underscores the need for policies that create inclusion rather than division. Based on over forty years of successful work to improve equal opportunity, CAA strongly affirms that affirmative action is one of the most important, effective, and necessary policy tools for advancing justice for Chinese Americans as well as other marginalized communities.